If you are currently sporting a bleach blonde or color blonde tress, you are probably well aware how difficult it is to maintain the beauty in those bleach locks. The dry winter weather can have just as harsh an effect on your hair as the harsh summer sun. Therefore, it’s important to keep up with maintenance throughout the year. Being a blonde is a full-time job, but a little extra TLC is a small price to pay for the luxury of sustaining that beautiful bombshell look. Keeping your blonde stunning, doesn’t need to break the bank, or come at the price of hair resembling a crumbled haystack. Here are some quick, inexpensive beauty tips for maintaining a healthy blonde throughout the year. Hair masks are intense conditioners that have more fatty acids and lipids in them which can return moisture to the hair and help protect it. 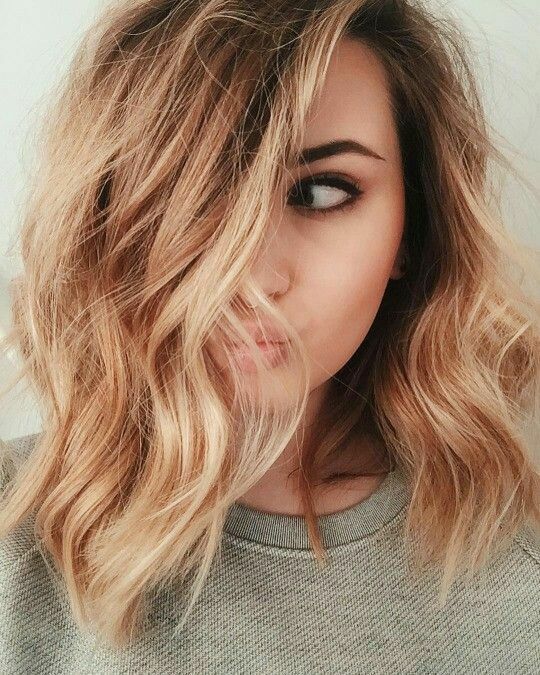 When the hair is healthy, the cuticle stays closed, which means less frizz and your color looks better because light reflects off your hair. Masks can help repair what styling and the environment takes out. Soaking your hair in coconut oil before a shower will greatly increase the moisture and overall strength of your hair! Coconut oil is inexpensive, and can be found in most grocery stores. Start with saturating the ends as they are always the most damaged, and work your way up to your scalp. Be careful not to use too much oil at the scalp because you just want to moisturize, not appear greasy! Cover your hair with a disposable shower cap or plastic wrap to keep the oil from getting everywhere, and leave it in for an hour or two. As many shampoos contain sulfate, which is especially harsh on blonde hair, using coconut oil helps prevent breakage and works as a protectant while you cleanse! Castor oil is an age old beauty treatment that has been largely replaced over time by fancier beauty products with more ingredients and a bigger price tag. Castor oil has natural antibacterial and anti-fungal properties and is high in Vitamin E, minerals, proteins, and Omega 6 and 9 beneficial fatty acids. Its unusually high ricinoleic acid ratio makes it beneficial to skin and hair. In fact, castor oil has traditionally been used topically for acne and other skin conditions, as well as hair loss, rashes and more. Castor oil can be used on the scalp to help prevent and remedy hair loss and it is effective at this for several reasons. It’s antibacterial and anti fungal properties make it beneficial against follliculitus, dandruff and scalp infections. Its ricinoleic acid content also can help increase circulation to the scalp and improve hair growth. Ricinoleic acid is also said to help balance scalp pH which can also help replenish the scalp’s natural oils and undo some of the damage of harsh chemical hair products (and even damage from no-poo, due to over alkalinity). The antioxidants in castor oil also support the keratin in hair and help make hair stronger, smoother and less frizzy. Castor oil can be very beneficial for hair growth if used correctly. Small amounts of plain oil can be used for an all-over treatment. Like many things in life, more is not always better, and only a few drops are needed per treatment. You can use castor oil 1-2x’s per week if desired. If you are blond and don’t know what purple shampoo is, then that is just crazy. Purple shampoo is a color-enhancing shampoo made to kill down unwanted tones. So when we wash our hair with purple shampoo, our hair absorbs a small amount of purple pigment, which cancels out red and yellow undertones, making your blue undertones higher. Which just leaves your hair blondutiful! So if you haven’t heard the hype about Olaplex yet, you heard it now. A revolutionary product that links broken bonds in the hair before, during and after chemical services. You wont be able to buy Olaplex in your local drug store, but you can do the step 1 and step 2 treatment at your local salon and can purchase Olaplex 3 and follow up at home. So this concludes, keeping your blond locks healthy require a lot of moisturizing and consistency!